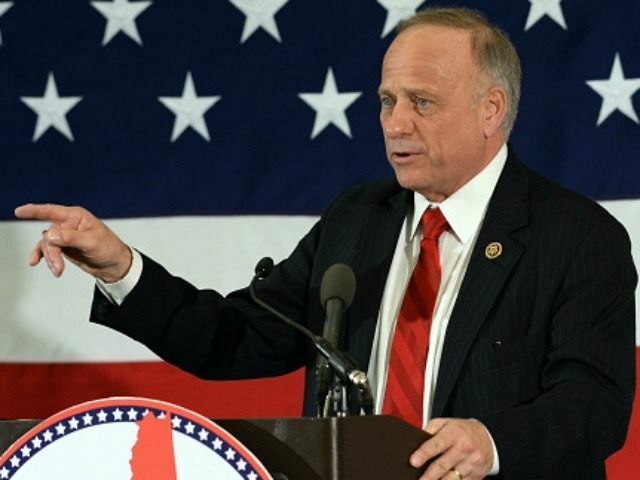 Capitol Police should have the authority to enforce immigration law, Rep. Steve King (R-IA) says. In the face of occasional disruptions by illegal immigrants protesting the nation’s immigration laws while openly flaunting their illegal status, King has introduced legislation to enforce immigration law at the Capitol. “This lawlessness has even invaded the Capitol grounds where the laws are written,” he added. According to King, since Capitol Police are not empowered to enforce immigration law they are less capable of fully investigating illegal immigrants who disrupt daily congressional activities. “Without clear authority they are not investigating the immigration status of protesters openly claiming they are here illegally while disrupting Committee proceedings and shutting down Congressional offices,” he said. King’s “Ending the Sanctuary Capitol Policy Act of 2015” authorizes the Capitol Police to enforce federal immigration law. “The House and Senate cannot call for an end to sanctuary cities while their offices serve as sanctuaries for lawlessness,” King continued in reference to recent attempts at punishing jurisdictions that do not cooperate with federal immigration authorities. “The Rule of Law rests on reliable enforcement everywhere and Congress needs to take the sanctuary plank out of its own eye,” he added. According to King’s office Reps. Lou Barletta (R-PA), Mo Brooks (R-AL), Jeff Duncan (R-SC), Louie Gohmert (R-TX), Paul Gosar (R-AZ), and Lamar Smith (R-TX) are original co-sponsors of the bill.